That’s how most visitors to Hawaii would describe the beautiful ocean that surrounds the islands. But, anyone who’s had a close-call when swimming, surfing, or boogie boarding knows differently — the ocean can actually be incredibly powerful, dangerous, and unexpectedly fierce. 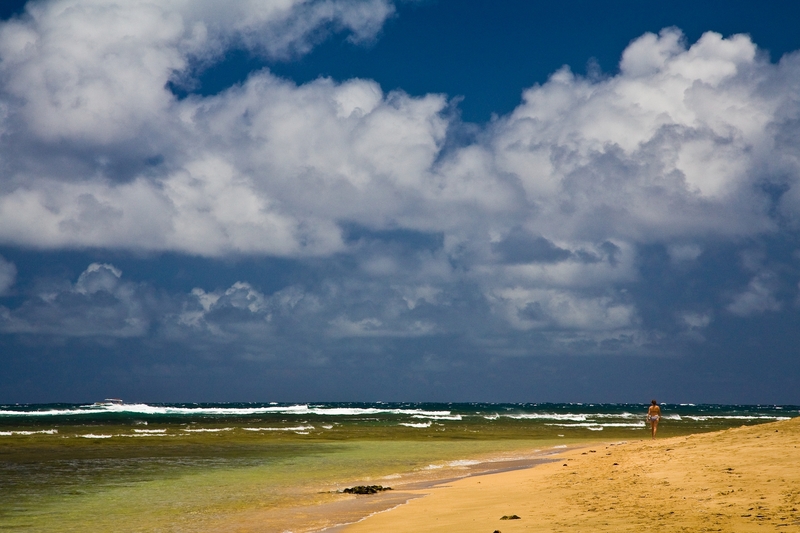 Because so many visitors underestimate the power of the ocean, Kauai officials are now taking action, urging beachgoers, especially visitors unfamiliar with Hawaii’s ocean conditions, to exercise extreme caution and know their limits. It’s all in response to 12 drownings so far this year, twice the number on the Garden Isle for all of last year. Recently, seventy-year-old Janice Klayson drowned while swimming in waters about 30 feet off of Poipu Beach on Kauai’s south shore. And, just a week earlier, Jeff Yann, 73, drowned off Larsen’s Beach, also known as Kaakaaniu Beach, on the northeastern shore after he was carried out to sea while swimming. Both were visitors, from Kansas and California, respectively. In fact, a majority of the drownings this year were visitors, and all six drownings last year were visitors. 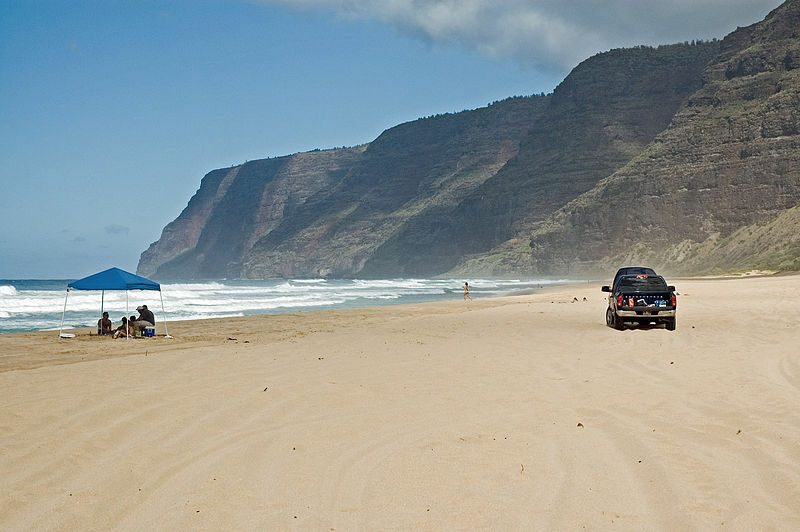 According to the Honolulu Star Advertiser, in the wake of the recent drownings, Sue Kanoho, executive director of the Kauai Visitors Bureau, implored beachgoers to be careful, especially during the winter. “You have to be very, very cautious,” Kanoho told the paper. And, now is the time to exercise even more caution. That’s because high-surf warnings and advisories have been issued by the National Weather Service for the north and west shores of Kauai and other neighbor islands in recent weeks. The Honolulu Star Advertiser reports that, in the past, Kauai County has sought to educate the public about dangerous ocean conditions through displays, brochures and daily ocean reports via kauaiexplorer.com sent to hotels and businesses. In 2013, officials even launched an ocean safety video that aired at the Lihue Airport’s baggage claim. A rescue tube program that started in 2008 has since led to the installation of more than 240 flotation devices along shorelines around the island, the paper reports. And, according to the Rescue Tube Foundation website, the devices are to be used to help distressed swimmers before they are rescued by lifeguards. The flotation lifesavers have been instrumental in more than 50 documented rescues, Vierra told reporters. However, it seems even more public awareness is in order. So, according to the Honolulu Star Advertiser, the county plans to extend rescue efforts beyond the 10 beaches with lifeguards. Thanks to an October fundraiser held by the Kauai Lifeguard Association, approximately $43,700 was raised and donated to the Ocean Safety Bureau for a roving truck equipped with a rescue board, Jet Ski, medical equipment and other gear. This isn't the first time officials have requested visitors be extra-careful. For years, travel experts have warned visitors to take extra precautions in the waters off Hawaii. The paper reports that a roving patrol truck is set to launch Dec. 1 to monitor unguarded beaches on the east shore. Two additional trucks will check the north and southwest shores. The new safety campaign underscores the importance of supervised excursions, such as snorkeling, SCUBA, or even surfing. If you’re not especially comfortable in the water, you should consider booking a group activity through a reputable tour company, such as Hawaii Aloha Travel. Our experienced guides are there to keep you safe and secure in the water. Bottom line? Visitors to Hawaii need to know their limits! Enjoy your vacation but DON’T underestimate the power of the ocean!